The future of automation: where is it heading? What issues will play a major role in automation in the years to come? What must a company do to remain the innovation driver and pioneer of new technologies? How will the job profiles of the automation engineers of the future change? These questions guide Pilz in its day-to-day work. Issues such as innovation management, digitalisation and robotics are especially in focus. We are already considering in depth the question of how to handle the future shape of automation. Pilz has steadily evolved: from glass-blowing business to producer of transistor-based timer relays, from industrial control electronics to a supplier of safe automation. We have made industrial history with products such as the first E-STOP relay PNOZ. 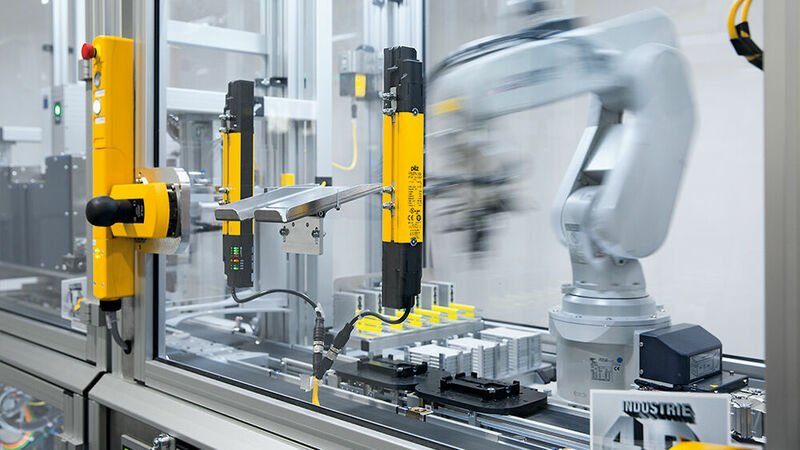 The automation of the future calls for new concepts, products and solutions. For that reason, we also continue to increase capacity in the area of innovation management. 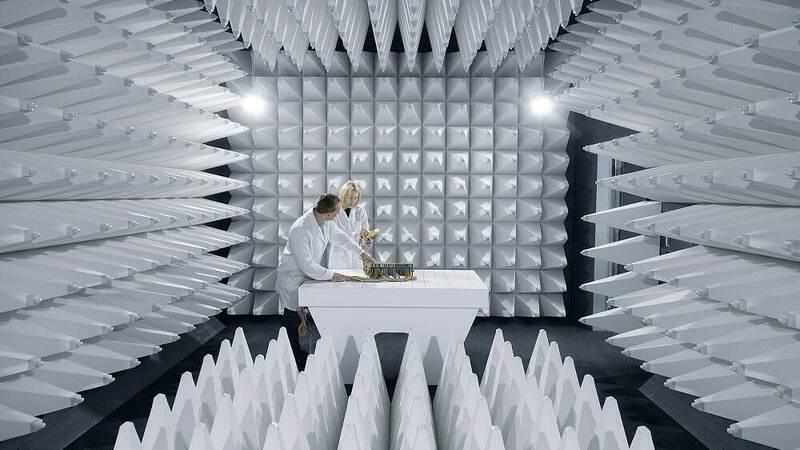 Picking up on innovative ideas, then making them ready for the market and industry-capable: that is what Pilz is about, because innovation is firmly embedded in our DNA. A factory and no robots? Virtually inconceivable in the Smart Factory of the future! The number of autonomous systems and robots will continue to increase. They are a response to faster economic cycles. In all areas of production, the challenge is to manufacture more flexibly and to meet individual customer requirements. The more closely humans and robots work together, the more exacting the safety requirements. How can a human work together safely with a robot colleague? That is a central issue that we are especially interested in. 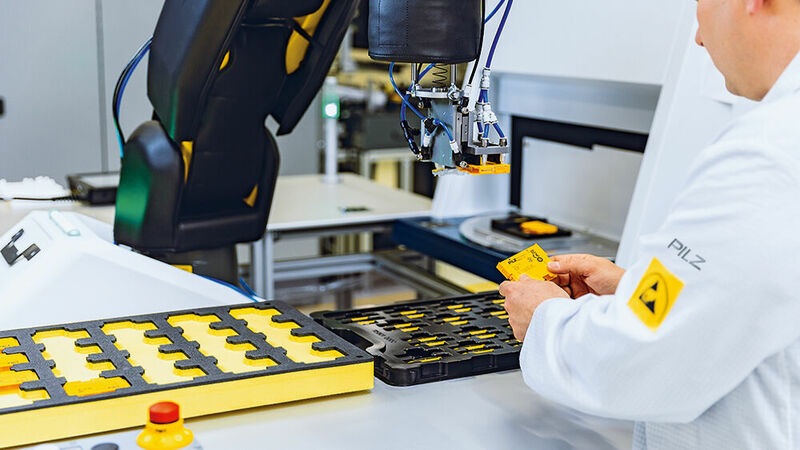 We already support our customers with realising safe robot applications through services, components and systems, plus training on the subject of robot safety. But what will the role of intelligent sensor technology in robotics be in the future? How can real-time data from robots, picked up by sensors, be used for a deeper analysis? How will we consider not just protection for the worker (safety) but also protection for the application against unauthorised access by third parties (security)? These are issues that Pilz will increasingly be working on in the future. 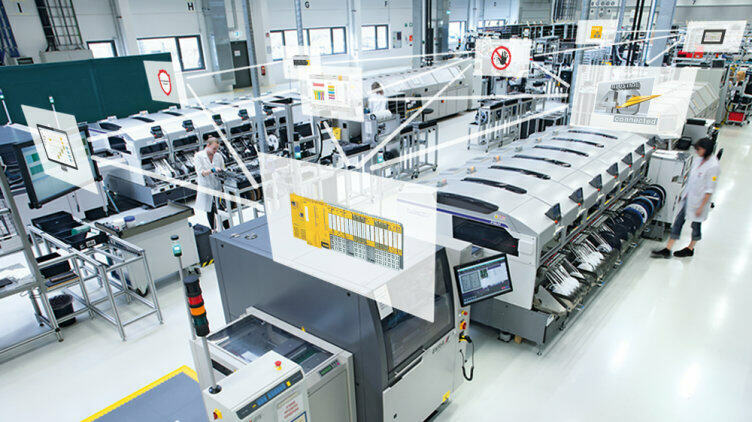 Networked machinery, intelligent decentralised components, modular production: these keywords denote various aspects of Industrie 4.0. Pilz, too, is addressing the question of what form the automation of future production will take. With our automation system PSS 4000 we already network several control systems that are each running independently. Thanks to a central software platform, users have an overview of all control systems. This Multi-Master approach will be standard in almost all systems in the factory of the future. The cloud-based function blocks will be supplemented with new services. That way, we will make it possible for components to send signals independently, which will enable the production facility to reorder and thus replenish materials. Precious time in the engineering stage and production process will be saved as a result. What will the future requirements be for IT security and data protection? What form must uniform standards take to serve the needs of a digitalised economy? We investigate these and other questions together with research partners such as SmartFactory KL, Arena 2036 and the Industrial Internet Consortium.